Everyone knows that meats like chicken, turkey and beef are full of protein, which is important to keep our bodies healthy and strong. What some people don’t realize is that there are other food sources we can consume to gain the protein that our bodies need. Here at Kids & Company we make sure to offer all our kiddies a vegetarian meal at least once a week on our menu, with daily vegetarian alternatives for kiddies who don't eat meat! With the introduction of the new Canada Food Guide we have incorporated two additional veggie lunches for a total of six per month. We are continuing to celebrate nutrition month through our curriculum at Kids & Company and the children are learning all about protein and alternatives. We LOVE beans at the Kidco Kitchen whether they are mixed into a stew, dip or are featured as the main ingredient in a meal. What food is high in protein and has virtually no fat and more fiber than most whole grain foods? The answer is beans!!! !Beans are one of natures healthiest foods, they are naturally low in total fat, contain non-saturated fat or cholesterol, and provide important nutrients such as fiber, protein, calcium, iron, folic acid and potassium. 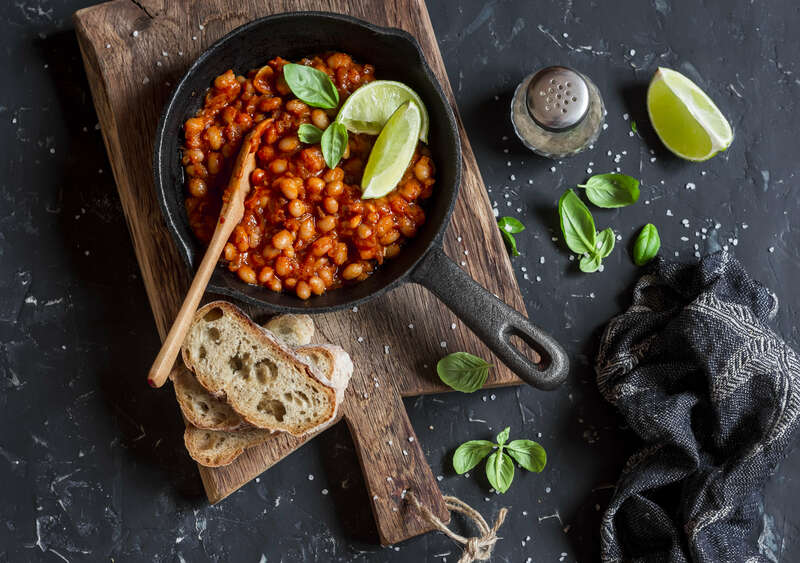 Throughout the year, we serve many different beans, chick peas, kidney beans, navy beans, black beans and lentils whether they are mixed into a dish or the featured ingredient. Another meat protein alternative is tofu which is one of the most popular alternative proteins to cook with because of its versatility. It is known for its soft delicate texture and its ability to take on all other flavours and spices in its dish. One 100 gram serving of tofu is 16% of one’s daily recommended intake of protein. We use for our herbivore kiddie’s veggie ground round, which is a soy-based crumble that can replace cooked ground meat in any recipe due to its versatility. We use it for our vegetarian options of Veggie Tourtiere Pie, Twisty Veggie Stir Fry, Veggie Noodle Doodle and so much more! The kiddies love the veggie ground round, and they are getting a proper amount of protein even without eating meat! While we don’t serve whole eggs or nuts at Kids & Company due to allergies, they are both excellent sources of protein. Eggs are a great option to get your protein intake as they are inexpensive and easy to prepare. You can hard-boil, scramble, cook in an omelet or cook them sunny side up! Nuts, and unsalted almonds in particular are incredible. 100 grams of almonds can offer a surprising 42% of your daily protein recommended intake, meaning just snacking on these nuts throughout the day can have a huge effect on your health and sense of fullness. Many people are choosing to eat less meat for the health of their bodies and planet, whether through one meatless day per week or a lifetime. We encourage you to try with your families a vegetarian meal weekly and we have lots of options on our website with recipes approved by your children. 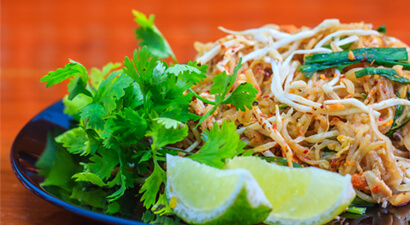 Try our Veggie Pad Thai this week! Your kiddies go crazy for second helpings of this dish at our centres! Heat large pan over medium heat. Add veggie oil and cook tofu for 5 minutes or until browned on all sides. Set aside. In a bowl mix brown sugar, soy sauce, tomato paste, vinegar, lemon juice, garlic, and ginger. Add veggie oil in a large pan and add garlic and onions and cook until translucent. Add beans, carrots, broccoli, tomatoes and sauce. Cook for 5-10 minutes. Bring pot of water to boil. Add rice noodles and cook. Drain rice noodles and add to the pan of veggies. Add tofu and toss.